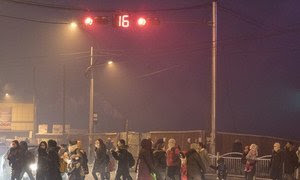 More than nine in ten children exposed to deadly air pollutionAir pollution is “stunting children’s brains” and affecting their health in more ways than was previously suspected, the World Health Organization (WHO) said on Monday. 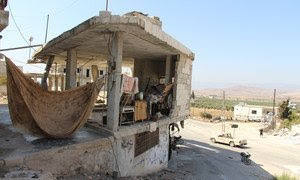 Aid convoy for north-east Syria postponed over security concerns – UN relief chiefA humanitarian convoy carrying relief aid for tens of thousands of “desperate” civilians in north-eastern Syria who have not received aid since January this year, has been postponed owing to security concerns along its route, the United Nations top humanitarian official said on Monday. 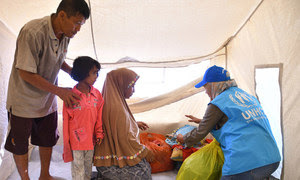 FROM THE FIELD: 10,000 Indonesia quake survivors to receive UN tentsMore than 2,000 emergency tents have been delivered by the UN to the people worst affected by the devastating earquake and tsunami that struck Sulawesi in Indonesia in September, 2018. 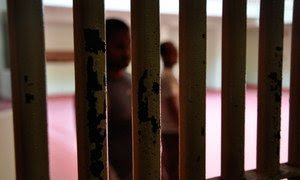 Halt death sentences on children, UN rights expert urge Saudi authoritiesSaudi Arabia has been urged by United Nations human rights experts to immediately halt the execution of six people sentenced to death for crimes allegedly committed when they were under the age of 18. Rich economies not a promise of education equality, new report findsHigh national wealth does not guarantee equal access to a quality education, a new report released on Tuesday by the UN Children’s Fund (UNICEF) suggests.